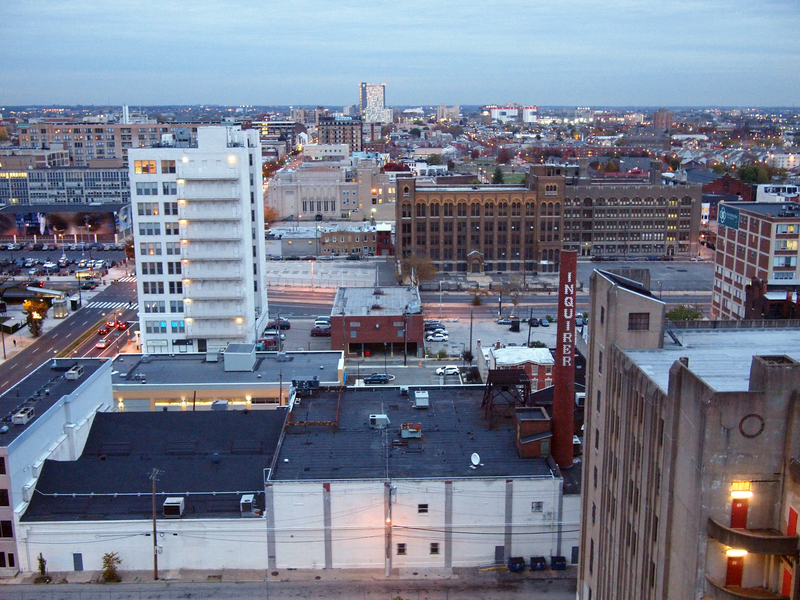 Dusk descends on the Eraserhood or Callowhill district. 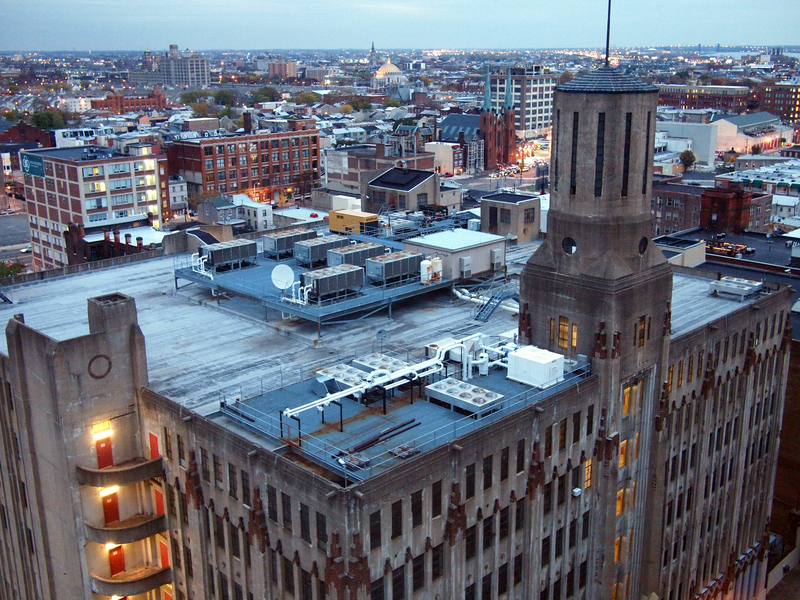 Structures of note are (l-r) the white deco splendor of the Rodeph Shalom Synagogue, the graffitied roof of the Divine Lorraine, the opulent tile work of the Thaddeus Stevens School of Practice on Spring Garden, and the brick-work titling of the Inquirer smokestack, 12 November 2013. The Eraserhood and the River Wards beyond. Structures of note (r-l) the gothic deco tower of the Lasher Printing Company, the twin spires of the still standing Church of the Assumption, and the gold dome of the Ukrainian Catholic Cathedral of the Immaculate Conception, 12 November 2013. 03 Dec	This entry was published on December 3, 2013 at 6:18 am and is filed under Architecture, Eraserhood, Historic Preservation. Bookmark the permalink. Follow any comments here with the RSS feed for this post.